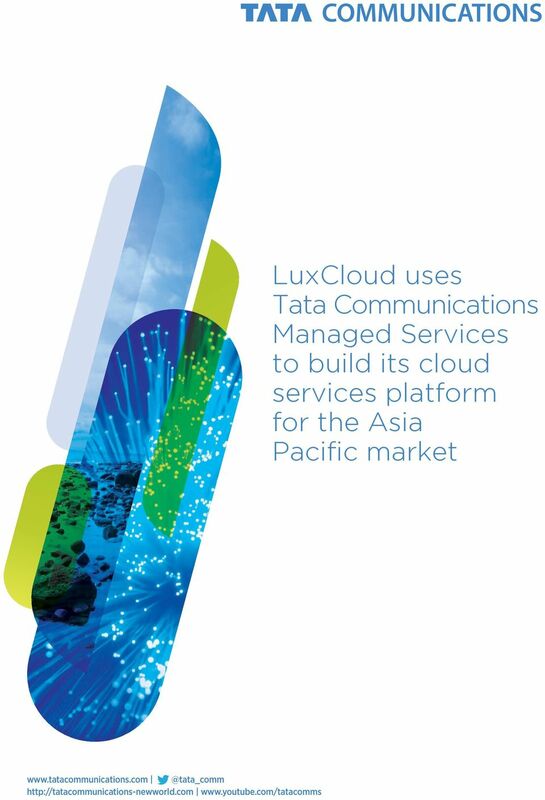 Download "LuxCloud uses Tata Communications Managed Services to build its cloud services platform for the Asia Pacific market"
5 India Limited Plots C21 and C36 Block G, Bandra Kurla Complex Bandra (East) Mumbai Singapore International Pte. Ltd. Exchange 35 Tai Seng Street, #06-01 Singapore Registration Number: G Hong Kong (Hong Kong) Limited 2402 Bank of America Tower 12 Harcourt Road Central United Kingdom (UK) Limited 1st Floor, 20 Old Bailey London EC4M 7 AN Registered in England and Wales Registered number Germany Deutschland GmbH Bettinastraße Frankfurt Deutschland GmbH Domicile: Frankfurt am Main Registry Court: AG Frankfurt am Main Commercial Register number: HRB Bettinastr. 30, Frankfurt am Main France (France) SAS 131 Avenue Charles de Gaulle Neuilly sur Seine France Canada (Canada) Limited 1555 Rue Carrie-Derick Montreal, Quebec H3C 6W2 United States (America) Inc Dulles Corner Boulevard, Suite 700 Herndon, VA For more information about, visit About is a leading global provider of a new world of communications. With a leadership position in emerging markets, leverages its advanced solutions capabilities and domain expertise across its global and pan-india network to deliver managed solutions to multi-national enterprises, service providers and Indian consumers. 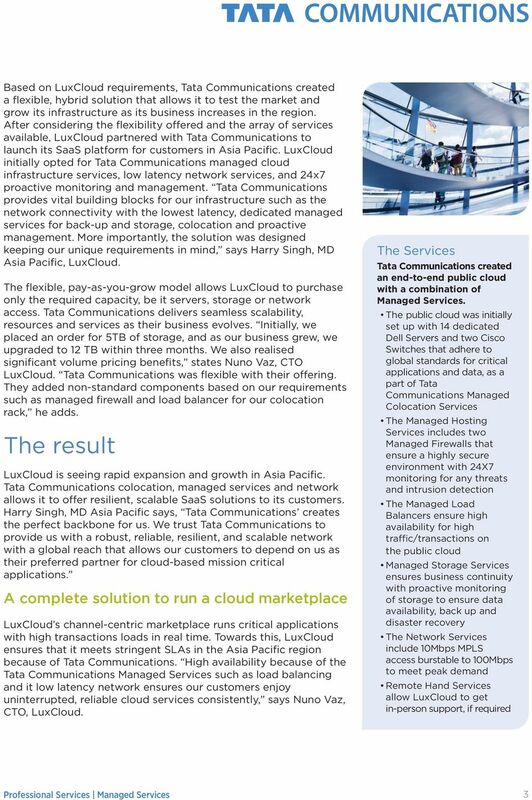 The Tata Global Network includes one of the most advanced and largest submarine cable networks, a Tier-1 IP network, with connectivity to more than 200 countries and territories across 400 PoPs, and nearly 1 million square feet of data center and colocation space worldwide. depth and breadth of reach in emerging markets includes leadership in Indian enterprise data services, leadership in global international voice, and strategic investments in operators in South Africa (Neotel), Sri Lanka ( Lanka Limited) and Nepal (United Telecom Limited). Limited is listed on the Bombay Stock Exchange and the National Stock Exchange of India and its ADRs are listed on the New York Stock Exchange. (NYSE: TCL) All Rights Reserved. 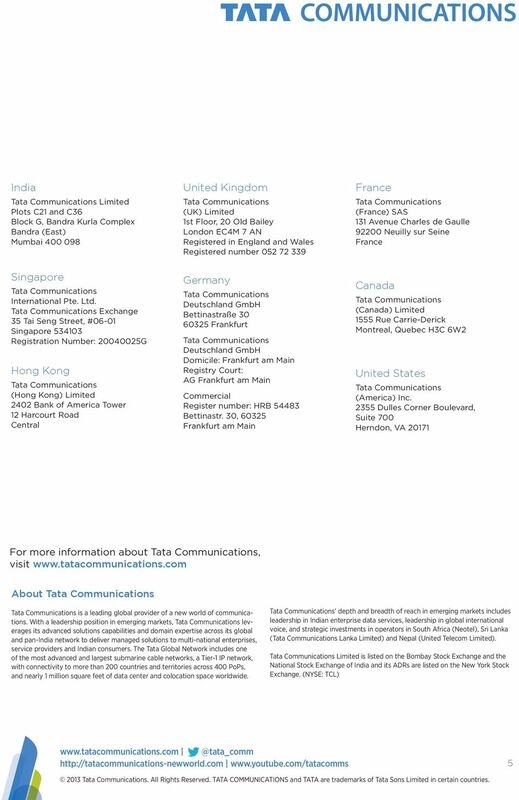 TATA COMMUNICATIONS and TATA are trademarks of Tata Sons Limited in certain countries. 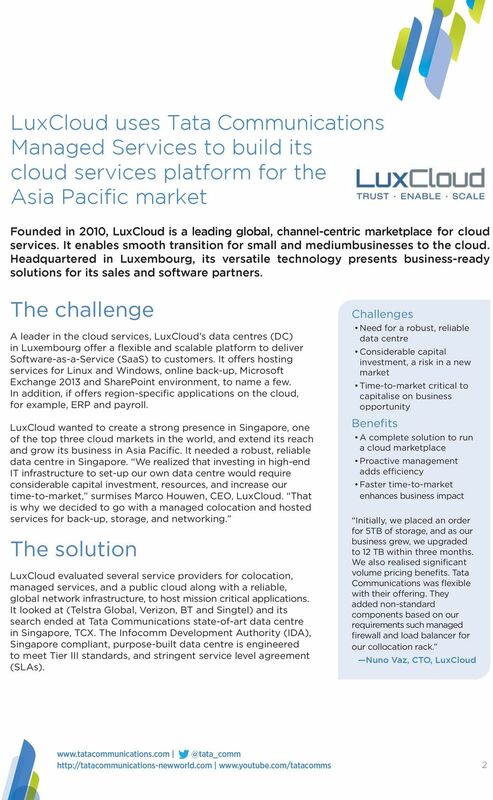 THE REALITY OF CLOUD COMPUTING HAS IT LIVED UP TO THE HYPE? Making IT serve the needs of BUSINESS. Making IT serve the needs of BUSINESS. SAFE. SIMPLE. SMART. Whatever the size of your business, however complex your IT needs, Atomic Data can identify, design, implement, and manage your technology solutions. SharePoint Unlimited... or how to deal with the explosive growth of unstructured data in SharePoint in a secure and transparent manner. 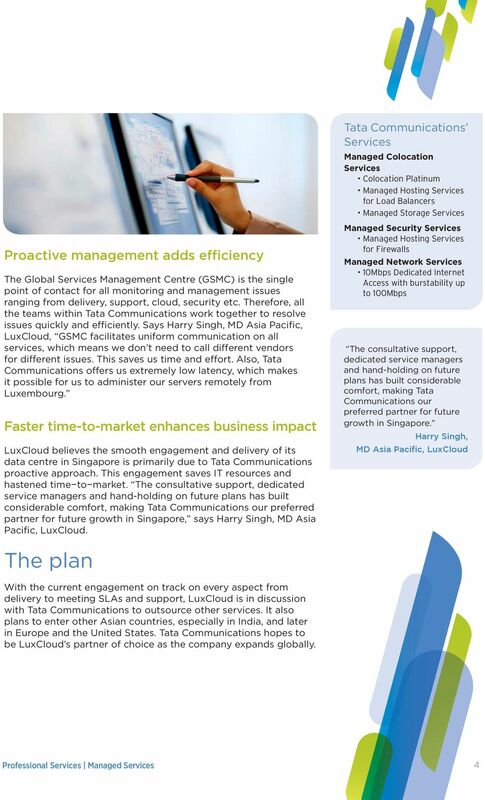 THE ACCLIVIS DIFFERENCE ABOUT ACCLIVIS The world s leading companies in Asia Pacific choose Acclivis as their preferred cloud and enterprise IT solutions provider in the industry for 6 key advantages.